Sixteen-year-old Samantha Taylor is used to having things go her way. She’s head cheerleader and has all the right friends and a steady stream of boyfriends. But when she tanks the SATs, her automatic assumptions about going to college don’t appear to be so automatic anymore. She determines that her only hope for college admission is to win the election for student body president. Unfortunately, with her razor wit and acid tongue she’s bettersuited to dishing out insults than winning votes. When she brashly bets her classmate Logan that she can go two weeks without uttering a single insult, Samantha immediately realizes that she may have bitten off more than she can chew. And when her current boyfriend dumps her, less than three weeks before the prom, it couldn’t be a worse time to be forced to keep her opinions to herself. Finding a new boyfriend will be a challenge now that Logan shadows her every move, hoping to catch her slipping back into her old ways. 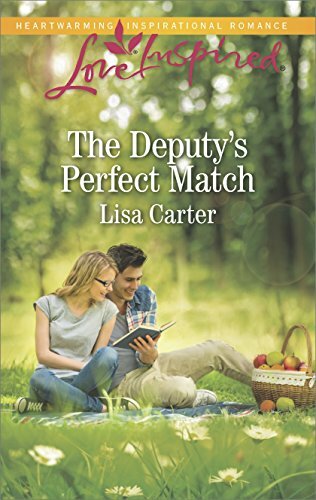 Samantha is determined to win the election and find a dream date for the prom, no matter what it takes. After all . . . all’s fair in love and war (and high school!). I really loved Blue Eyes and Other Teenage Hazards (book 1) and had no idea there was another book in the series. I’d heard of All’s Fair in Love, War, and High School but didn’t know it had some of the characters from BEOTH. 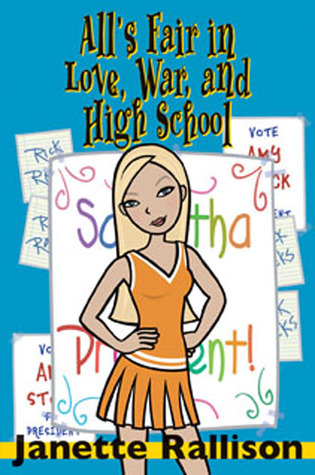 The MC Samantha was actually the girl you might not like in book 1. It was really fun to see inside her head and watch her change. I love that Logan bet her that she couldn’t keep from insulting people for two weeks. Hah! It was so funny to be inside her head and hear what she was keeping herself from saying. Laugh out loud funny with a great story All’s Fair in Love, War, and High School is a great book for anyone to read.